With estimates from £100-3000, here are five previews from upcoming sales this week. A silhouette of Lord Byron. A Louis XVI-style centre table by Alfred Emmanuel-Louis Beurdeley. Discovered under a sheet in an outbuilding on a country estate, this Louis XVI-style centre table by Alfred Emmanuel-Louis Beurdeley (1847-1919) will be offered by the Winchester salerooms of Andrew Smith & Son on February 5. 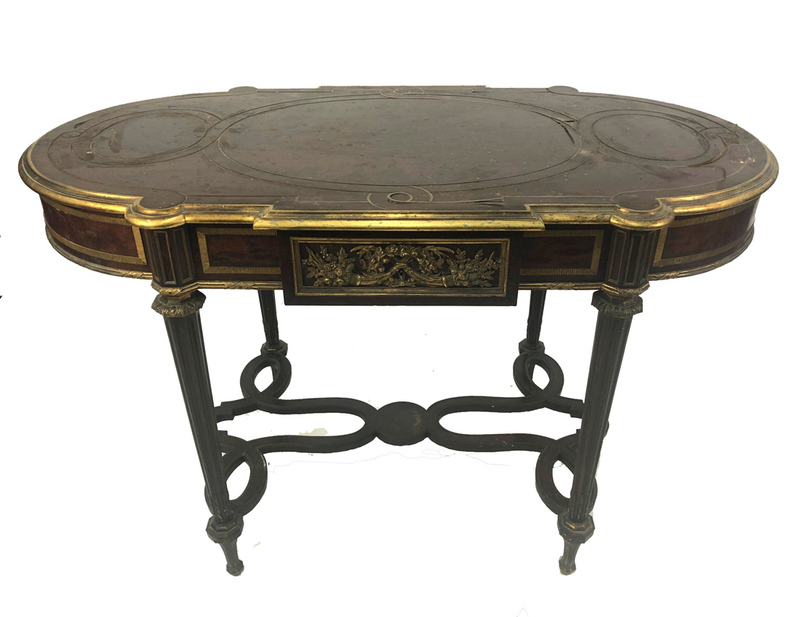 The ormolu-mounted and brass inlaid mahogany table, stamped twice to the underside A BEURDELEY, is an early piece by the French maker dating to c.1870. The desk was originally housed in the library at The Grange in Northington, Hampshire, the seat of the Ashburton family, and is depicted in a photograph of the library dated 1871. Estimated at £2000-3000, it can be viewed at thesaleroom.com. A copy of Jane Austen’s Pride and Prejudice. 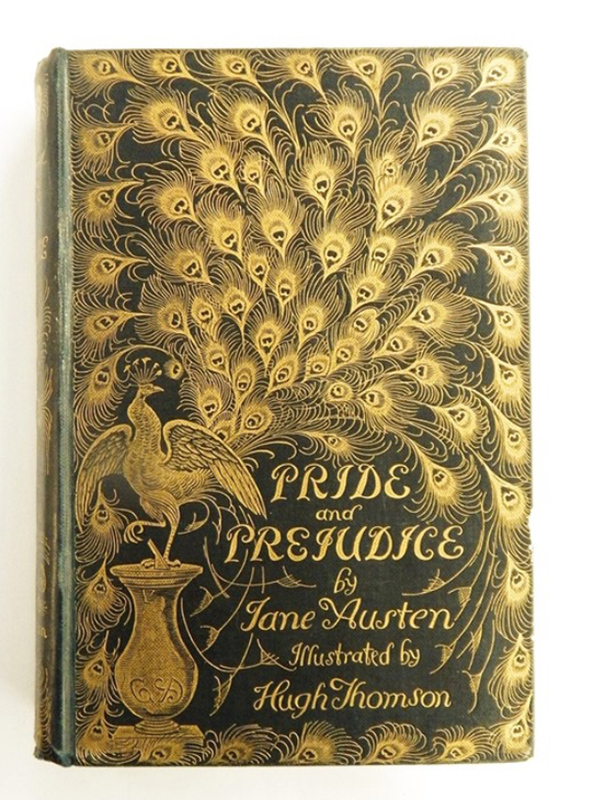 The so-called ‘Peacock Edition’ of Jane Austen’s Pride and Prejudice was first published by George Allen in 1894 and illustrated by artist Hugh Thompson. Known for his attention to detail, Thompson started working on his drawings for the novel in 1893. They proved a great success with over 10,000 copies, in the few years after the edition was released. This copy has some board cracking and fading to the spine and is estimated at £300-500 in a sale of books, medals, militaria and collectables at Cotswold Auction Company on February 5 in Cheltenham. The lot can be viewed on thesaleroom.com. Mellors & Kirk in Nottingham is offering a single-owner collection of on February 6-7. 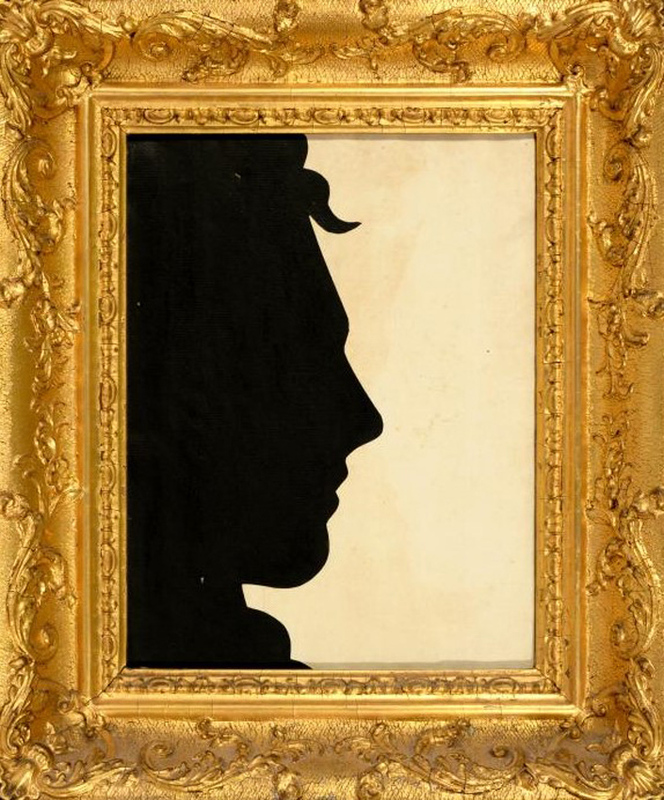 The Harold Ward Collection including Byron Memorabilia contains a number of choice lots such as this 19th century English profilist life-size silhouette of Lord Byron. The auction house notes that the image of Byron has traditionally been attributed to John Leacroft (1743-1819) who “captured the poet's likeness ad vivum in Southwell in about 1806”. In a giltwood frame, it is estimated at £200-400. The lot can be viewed on thesaleroom.com. 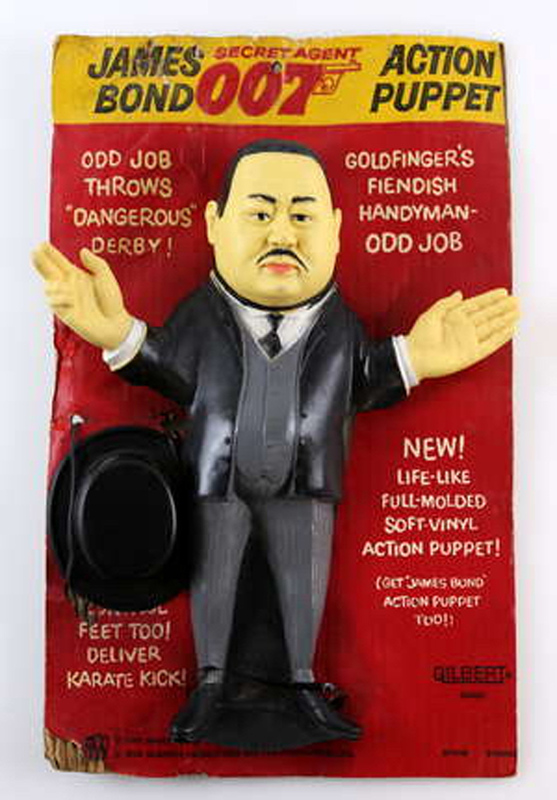 A Gilbert action puppet of Oddjob, Goldfinger’s bowler-hat-throwing henchman. More than 200 lots of memorabilia connected to the world’s most famous secret agent will go under the hammer at Surrey saleroom Ewbank’s in Guildford on February 7. The Bond & Beyond auction includes this 1965 Gilbert action puppet of Oddjob, Goldfinger’s bowler hat-throwing henchman. It comes with an original card, about 13in (33cm) high, and carries a £100-150 estimate. The lot can be viewed at thesaleroom.com. A coin-operated jukebox – known as the ‘The Rock-Ola 435 Princess Deluxe’. 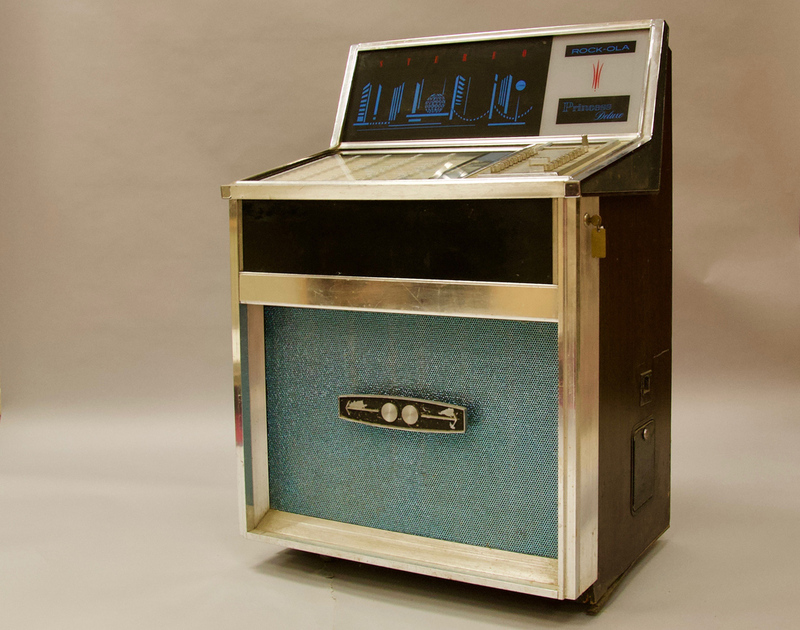 Dating from the late 1960s, this coin-operated jukebox – known as the ‘The Rock-Ola 435 Princess Deluxe’ - was designed for use in pubs and cafes. The internally-lit player, sporting a cityscape design, features a pickup mechanism and 50 7-inch discs of singles from the 1960s-80s, which can be changed by lifting the hinged top section of the player. Cirencester saleroom Moore Allen & Innocent has guided the piece at £300-500 in a sale on February 8. The lot can be viewed at thesaleroom.com.